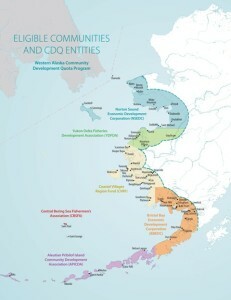 The Community Development Quota Program (CDQ Program) was created in 1992. Its purpose is to encourage fisheries-related economic development. Since its inception, it has generated millions of dollars in wages, education and training benefits, and has helped fund fisheries investments such as docks, harbors and seafood processing facilities for the 25,000 residents who call these communities home. 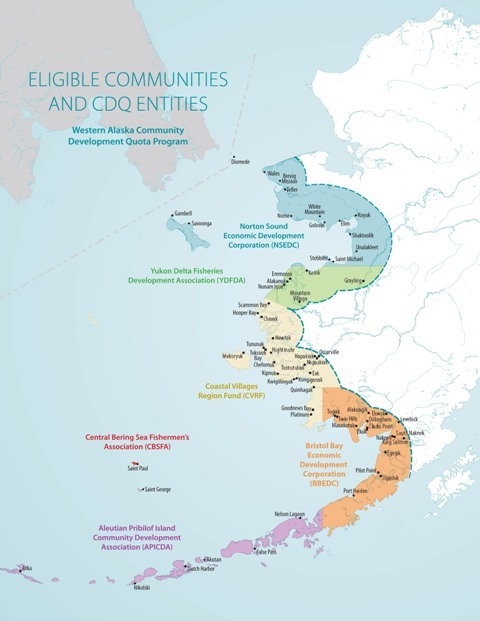 In addition to building fisheries-based economies and helping alleviate poverty, the CDQ Program offers residents of western Alaska practical skills and tools for actively participating in the commercial fisheries so that local residents have control over their futures. Sustainability is a guiding principle of the CDQ Program. Revenues derived from the Bering Sea Aleutian Island fisheries make it possible to invest in community, human and economic capital. This balanced investment portfolio ensures that the eligible communities will have the right mix of resources and assets to achieve future sustainability. Have not previously established participation in the BSAI groundfish industry.